After March 25, 2017 un-freedom atmosphere for the Belarusian nation considerably thickened. Brutal arrests of participants, who were going on a celebration of Independence Day, it’s not finished. About 30 people were arrested in the so-called case of the “White Legion”. It is obvious that at homeland the last Belarusian will is squeezed by oriental and other aliens with gradual including of Belarus into the “russian world”. It seems that many people in the anti-national government protect the position of those who share views and interests of Transnistria, the Penza province, and “our Crimea/ Krym nash” but not the interests of Belarus. In Minsk a monument of faceless policeman from Imperial Russia times was settled, near Brest landed Russian paratroopers, who with Belarusian military and for some reason with the Serbs are trying to fight with conventional terrorists, Foreign Minister of Russia S. Lavrov said in Moscow in the beginning of June 2017 about the introduction of common visa on the territory of Belarus and Russia, ahead are expected large military maneuvers of Russian troops on the territory of Belarus. Under the influence of Moscow and local advocacy for more than 60% of the population of Belarus, according to the laboratory Vardamatski, inclined towards an alliance with Russia … The list can be extended. However, it will testify only about the gradual involvement of Belarus as a totally dependent colony to Russia. Gradual surrender of national interests pursued by the past 20 years threatens the sovereignty and independence of Belarus. The rhetoric that can be heard from the Minister of Foreign Affairs, Mr. Makej, about balancing of foreign policy, while recognizing the priority of Russia, one should not be misled. It seems that the only way for the authoritarian leadership to save power may be holding a constitutional referendum on the recognition of Belarus as a neutral state. Conducting of such a referendum is certainly not advisable to have survived the authoritarian regime – a positive vote on this referendum leaves the moral rights for Belarusians and a chance to build a neutral, national state. Belarusians need to make every effort so that in such difficult conditions to preserve national identity and take its rightful and distinctive place in the world. The 18th issue of the magazine begins with the “Strategy of Development of the Belarusian Nation”. “Strategy” is gradually supplemented by suggestions of Belarusians. We invite readers to send their comments and suggestions to improve the content of the “Strategy” at: chasopis.sakavik@hotmail.com Editorial Board asks organizations who basically agree with the provisions of the Strategy to join the implementation of its tasks. Editorial Board drew attention to a survey on the neutrality of Belarus, which is located on our website http://www.sakavik.net in the classified section. The neutrality of Belarus is one of the defining moments of discussion of the “Strategy”. We would be grateful if you could find a few minutes to express your attitude to the possibility of a neutral state of Belarus. 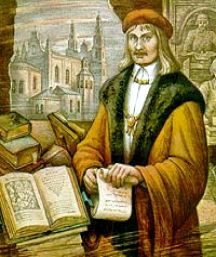 This year is the special year for Belarus by 500th anniversary of book-printing – Frantsysk Skaryna for the first time published a book in the Old Belarusian language in Prague in 1517. We plan to put the materials devoted to this aspect of the Belarusian nation life in this September issue of the magazine “Culture, Nation”. On 15-16 July 2017 Minsk will host the Seventh Congress of Belarusians of the World. The magazine “Culture Nation” warmly welcomes the participants of the World Forum, wishes them the fruitful work and expresses a confidence that the decisions taken at the Congress, will greatly contribute to the further development of Belarusian national state. The original materials of the magazine introduces the section “Regional studies”, which was organized thanks to researchers of Pastavy region (Vitebsk province), Mr. I. Prakapovich and Mr. V. Shyshko. The editors are very grateful for their participation in the work of the magazine. We believe that readers with interest acquainted with the Prakapovich’ hypothesis on the origin of the name of Myadzel village, as well as the views of Mr. Shyszko on the role of local history in the formation of national identity in the globalization era. This section also provides information on the status of schools and education in Pastavy region after World War II presented by I. Prakapovich. In the section “Conferences”, materials submitted by the members of the Belarusian Institute of Science and Arts in Canada (BINIM) at the Annual Congress of the Federation of Humanities and Social Sciences in Canada, which took place on May 27 – June 2, 2017 in Toronto, are published. All reports made by friends of BINIM in English or Belarusian language directly related to the issues of life of the Belarusian nation. Among them, characterization of the state of Protestantism in Belarus (Yu. Rapetski), understanding of the Belarusian identity among diaspora (M.-P. Survila), the current knowledge of the relationship of globalization and national identity from a historical point of view taking into account the “borderline status” of the Belarusian state and the oppressed status of the Belarusian language (G. Tumilovich), the analysis of the book by R. Borodulin “If only Jews were here! The book of respect and friendship” dedicated to a centuries charity between Christians and Jewish Belarusians (Z. Gimpelevich), the analysis of magazine activity “Culture, Nation ” in 2012-2017 (N. Barkar), determination of the place in the classification of civilizations for the East Slavic, Belarusian-Ukrainian civilization as sub-civilization of Western civilization (P. Murzionak). 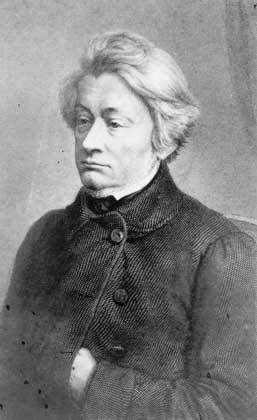 For the first time the magazine opens the section “Literature”, which placed a poem and short story of I. Prokopovich. The editorial board will welcome contributions from other authors from Belarus in this section. For information, the Belarusian authors in diaspora have the opportunity to publish their works, poems and prose, in the Almanakh “Belarus” which is published in New York City (editor M. Klakotsky). The “Interview” section of magazine “Culture Nation” contains the full text of the interview Yu. Rapetski, which he gave to the magazine “The Source of Life”, where it will be published in an abbreviated form. The editorial board of “Culture, Nation” congratulates his colleague, Mr. S. Paniznik, with 75-year anniversary and wished him good health and further fruitful work for the good of our country. In the same section “Anniversaries” we publish a selection of materials prepared by Mr. S. Paniznik dedicated to the 80th anniversary of Nina Debolskaja known translator of poems of Belarusian poets. At the end of the magazine the most important calendar dates this year are placed.